Ohio Sen. Rob Portman won't be the vice presidential candidate nominated at next week's Republican National Convention in Tampa, but he will be one of the opening acts Wednesday for the man who is to be number two on the GOP ticket, Wisconsin Rep. Paul Ryan. Portman is scheduled to speak to the convention at the Tampa Bay Times Forum in Tampa Wednesday night, during prime time, and just after former Florida governor Jeb Bush. Following Portman to the podium will be Columbus business owner Steve Cohen of Screen Machine Industries. Later in the evening, former secretary of state Condoleeza Rice will speak, followed by a video about Ryan. The third night of the four-day convention will end with a speech by Ryan, a graduate of Miami University. Portman was on the short list of possible vice presidential nominees, but Mitt Romney turned to Ryan instead. The Miami University College Republicans Facebook page says Paul Ryan is coming to his alma mater tomorrow. 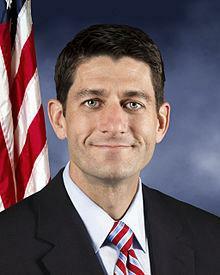 Ryan, the newly announced Republican Vice Presidential candidate, graduated from Miami in 1992.